Spice Mobility and Spice Digital’s initiative, Ek Soch Sandbox in collaboration with Deshpande Foundation will be organizing Development Dialogue 2016 on 19th July 2016 at Banaras Hindu University (BHU) Campus, Varanasi. Development Dialogue 2016 will bring together social entrepreneurs under one roof who work in partnership to impact lives of people at grassroots level. The theme for Development Dialogue 2016 is Execute locally and innovate globally to deliberate on the intertwined nature of innovation and execution. With the Development Dialogue 2016, Ek Soch Sandbox aims to initiate a dialogue on affordable and scalable solutions required to empower the lives of people at the grass root level with the necessary leadership and skill development. Addressing the local challenges, it will provide affordable and scalable solutions required for social entrepreneurship. The keynote speakers of this Development Dialogue will include the Mr. Gururaj Desh Deshpande, Founder of Deshpande Foundation; Mr. Dilip Modi, Chairman, Spice Mobility; Mr. Ramji Ragavan, Agastya International Foundation; Ms. Shelly Batra, Operation Asha; Mr. N K Chaudhary, Jaipur Rugs and leaders from diverse non-profit and social enterprises who will share their stories of change and transformation. 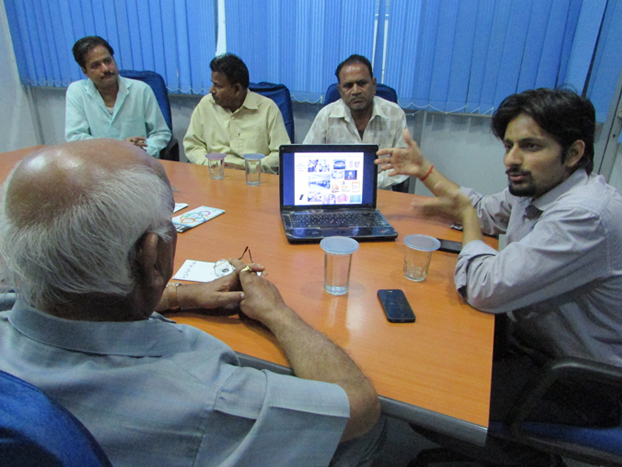 In addition to the Ek Soch Sandbox plans to seed 10 more social entrepreneurs in eastern Uttar Pradesh and 25+ mentors. Currently, through its various programs like Lead, Agastya, Save a mother, Navodyami impact, fuel etc. it has already impacted the lives of people in 50K households and further plans to improve the lives of many more people. Development Dialogue 2016 invites social entrepreneurs, impact investor, CSR professional, policy makers and developmental academicians. Those who want to be part of this program, can send an email to eksoch@dfmail.org or can directly register online by clicking here. The last date for registration is 08/07/2016. NextIndia Gets a New Environment Minister, With a Conservation Background!